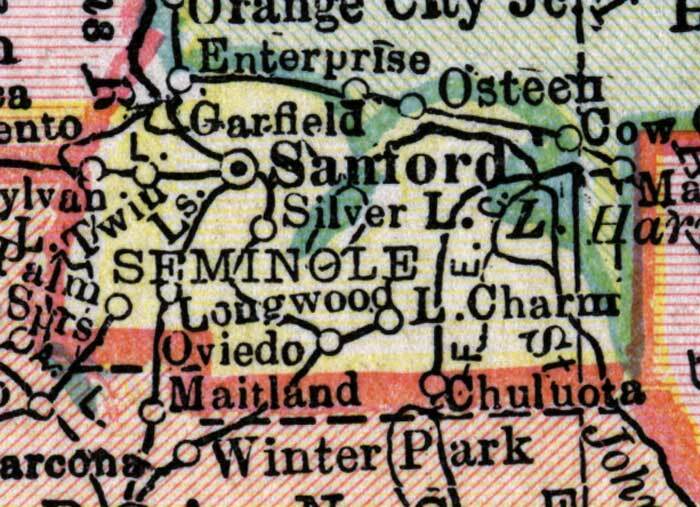 Description: This detail of a map of Florida shows county boundaries, roads, cities, towns, villages, lakes, and rivers current to 1916 for Seminole County. This detail has counties and major cities and towns listed in larger font. The counties are also colored for ease of differentiation. Features of this detail include Sanford, Chuluota, and Lake Charm.